﻿ AMOREPACIFIC Treatment Enzyme Peel Review: Is It Really Effective? AMOREPACIFIC Treatment Enzyme Peel is marketed as an exfoliating powder that uses papaya enzymes to gently sweep away dull, dead skin to reveal an even, revitalized complexion. AMOREPACIFIC Treatment Enzyme Peel is a brightening exfoliator that uses a combination of soothing ingredients and natural papaya enzymes to smooth away dead skin. This unique system works for all skin types and leaves your complexion looking more even and lively. 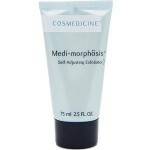 This exfoliator also allows other products, like serums and moisturizers, to work more effectively. For best results, begin by wetting your cleansed face and hands. Pour out AMOREPACIFIC Treatment Enzyme Peel into your hand and add a small amount of tepid water. 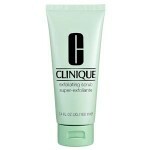 Work the product into a creamy lather and massage it onto your face for up to 45 seconds. Be sure to avoid the delicate eye area. Rinse away with water when done. 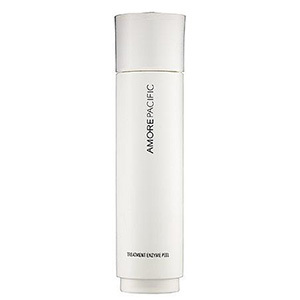 AMOREPACIFIC Treatment Enzyme Peel for $60.00 per 2.5 fl. oz. of product on several well known skincare retailer websites. Papain: This ingredient uses enzymes from papaya to gently exfoliate the skin without causing dryness or irritation. Allantoin: This ingredient soothes the skin and prevents irritation. Green Tea Leaf Extract: This ingredient is packed with antioxidants and protects the skin from damage caused by environmental aggressors. AMOREPACIFIC is a well-known, trusted skincare brand. 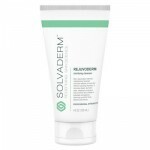 This product uses gentle ingredients and is suitable for all skin types. 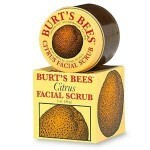 This exfoliating scrub may be used every day. This exfoliating powder is rather pricey, particularly for anyone on a budget. The application process is a bit complicated and messy. AMOREPACIFIC Treatment Enzyme Peel uses gentle ingredients to sweep away dull, dead skin to reveal an even complexion. Although this may sound like the perfect solution for your clogged, sensitive skin there are several issues we’d like to address before you consider purchasing this item. This exfoliating product comes in powder form that must be mixed with water before applying it to the skin. Although this is the best way to keep the ingredients fresh, the application process can be quite difficult and cumbersome, particularly if you prefer to wash your face in the shower. Customers claim the lid gets quite sticky and seals itself shut if it’s exposed to moisture. Other customers claim this product is actually too gentle to provide any noticeable results. We’d recommend continuing your search for an exfoliating face treatment that isn’t so finicky upon application and contains proven ingredients to sweep away dead, dull skin. AMOREPACIFIC Treatment Enzyme Peel is sold on several very well known skincare retailer websites. These sites have quite reasonable return policies. If, for any reason, you are not happy with your product simply return it with proof of purchase within 30 days for a full refund. After 30 days you may return this product for store credit.